Welcome to your new mini-farm home! 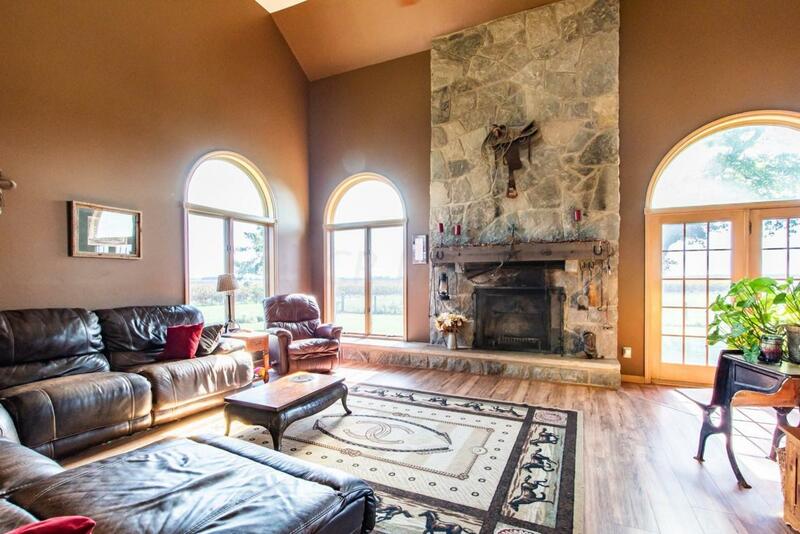 Two story open concept floor plan on five acres with expansive country views. Barn with four stalls, electric and water. Fenced pastures and room to play! The house has a new furnace and a/c unit in 2018, well pump in '17, roof is approximately 9 years old. 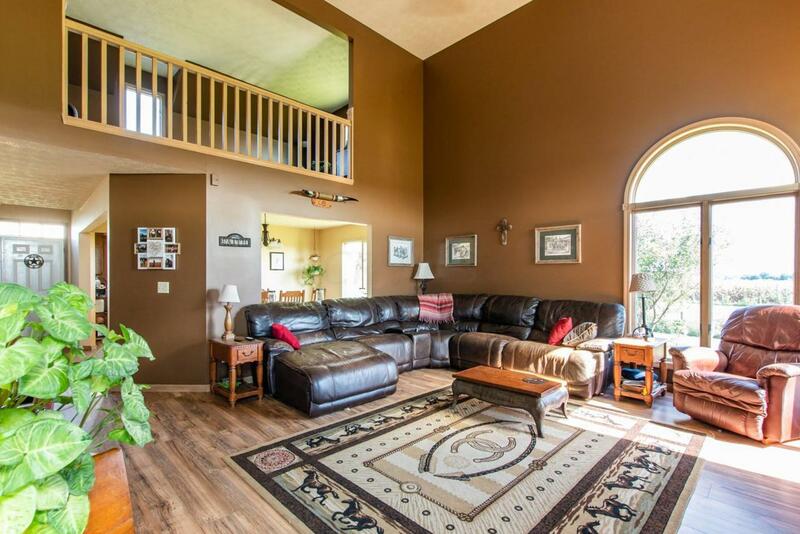 Freshly painted interior throughout and newer laminate flooring through main living areas on the first floor. 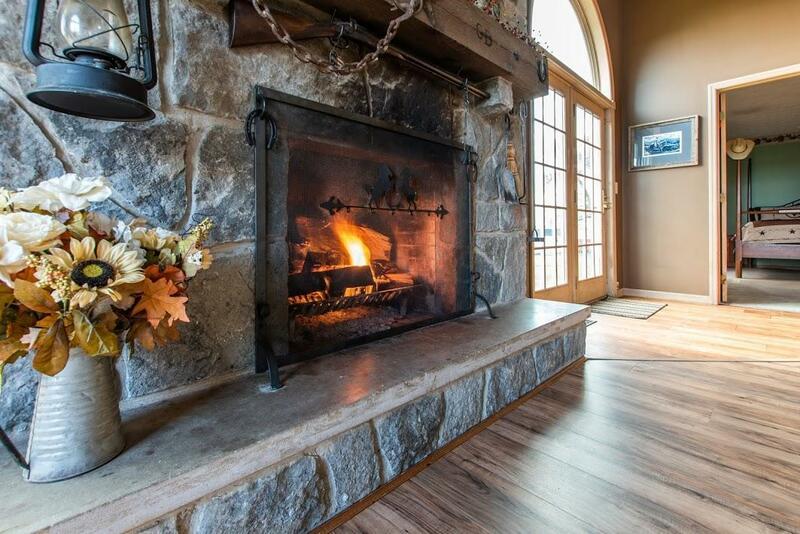 Two story great room with soaring ceilings and floor to ceiling fireplace with loft overlooking. First floor owner's suite and main floor laundry as well! 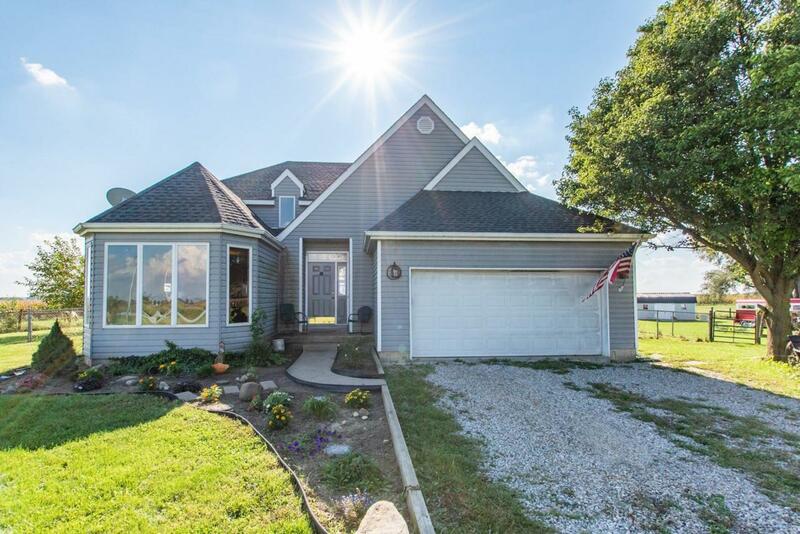 Formal dining as well as an eat in kitchen, extra wide staircase to second floor, and a full poured basement! There is a newer beachy barn shed on the property as well. Its a charmer! .